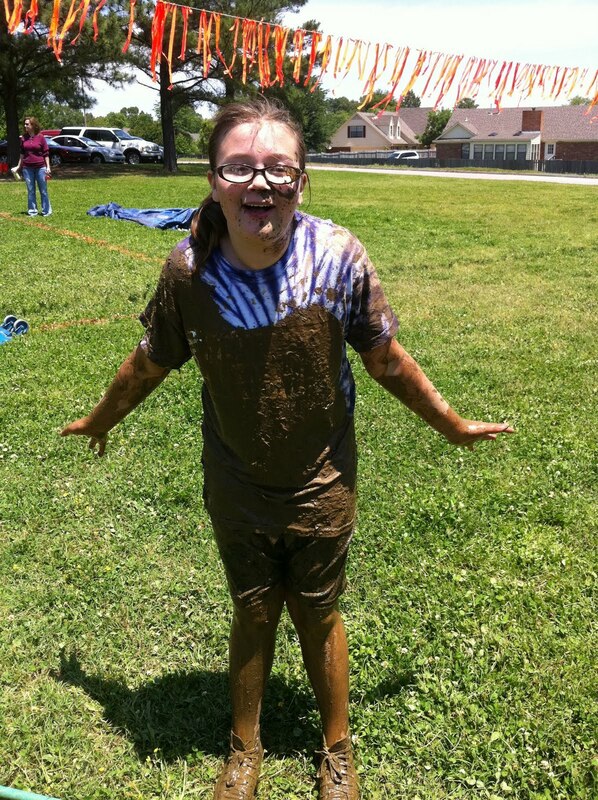 Kaitlyn had her field day today. Don't know why they can't have all the grades on the same day so I don't have to take 2 days off work but I digress. 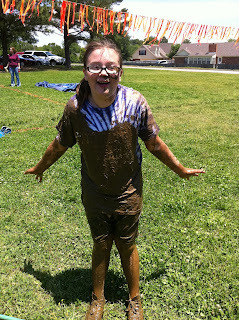 and at the end was the mud slide, she waited all year for this. That is the assistant principal waiting to throw them all down in the mud, I'm sure he has been waiting all year for this too!